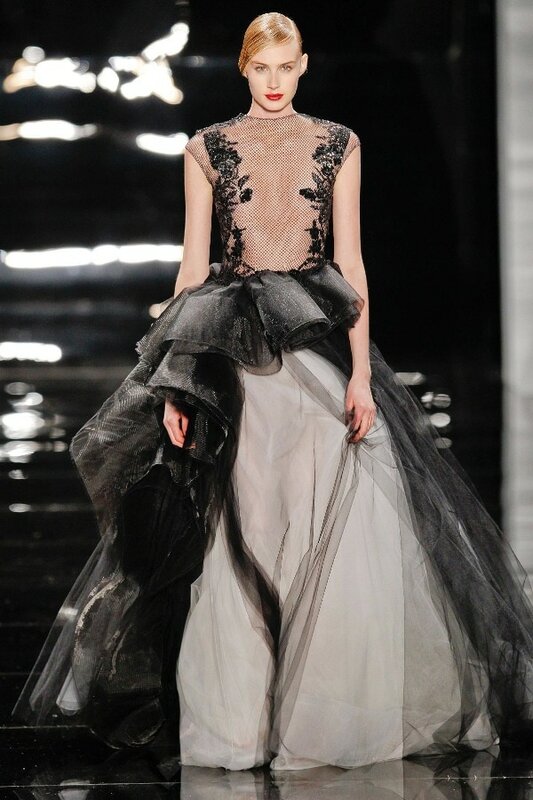 If you love gorgeous gowns, the Reem Acra is the designer for you! The Fall/Winter 2013 Reem Acra collection was inspired by the designers recent trip to Japan and a series of fishnet-stocking photo by Daido Moriyama. 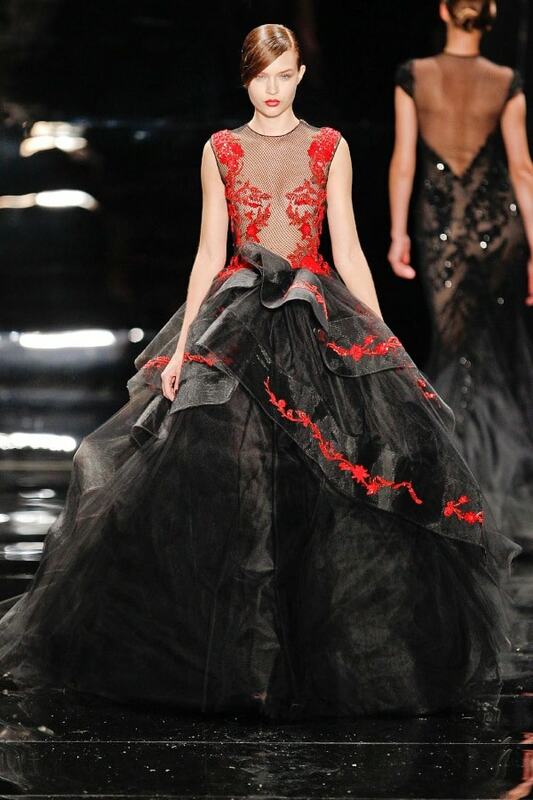 Featuring a color palate of exclusively black, white and red, Reem Acra demonstrated that the beauty truly is in the details. 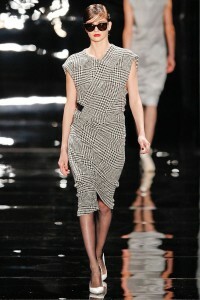 The collection featured both full gown and lean sculpted dresses both with delicate beading and elegant embellishments. In addition to the eveningwear that Reem Acra is known for, the collection showcased chic pieces for day including kimono-shaped jackets and furry outerwear. Words truly cannot describe how stunning these gowns were, many drawing gasps from the crowd as they appeared on the runway. Scroll down for your only journey into the beautiful mind of Reem Acra. Above, the final look of the collection pulling together all of the elements that made this collection so stunning in one beautiful package. 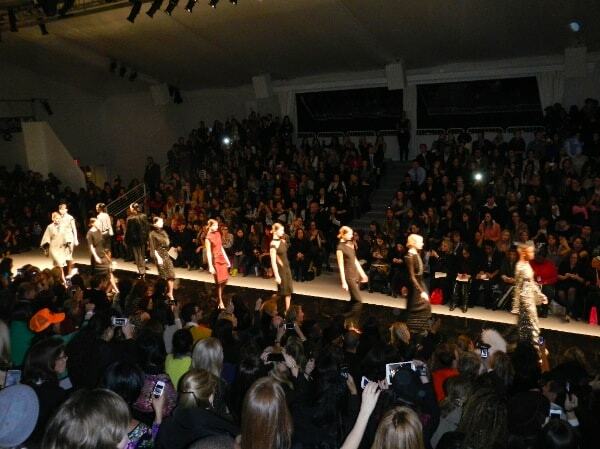 Above, the first look of the show that set the tone for the fabulousness to follow. Above and below, fishnet-stocking overlay detail inspired by the photographs by Daido Moriyama. Need more fabulous fashion? 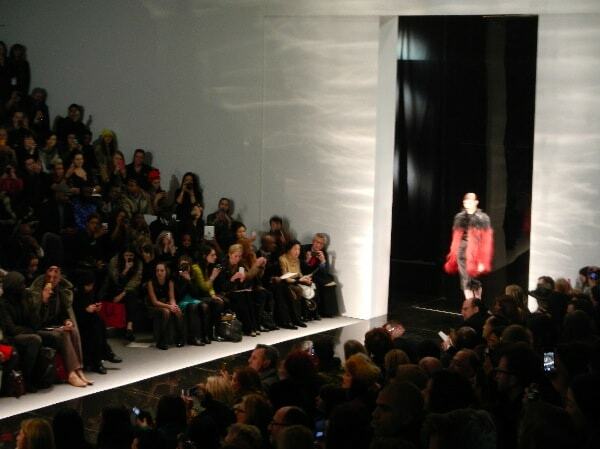 Check out all of our New York Fashion Week coverage here.